Any resemblance to real persons, living or dead, in the above image is purely coincidental. If there’s one thing we love here at A Thousand Flowers, it’s dealing with FACTS. Hard, indisputable FACTS. Over the course of this article it will be an honour to present you with a whole series of FACTS, in easy to understand bullet point format. 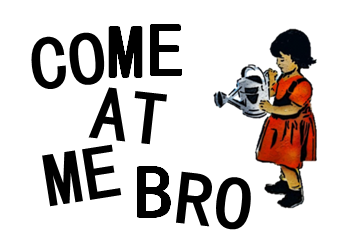 Here we go…. On Sunday, our friends over at National Collective – an online initiative bringing together artists and creatives who support independence – published an article making a number of observations, and asking several questions, about the main donor to the Better Together campaign. Their site is currently down, but the blog post is mirrored here. Better Together are the Labour/Tory/LibDem alliance who are lobbying for a No vote in the independence referendum. The article came in light of the campaign’s disclosure of where their funding, currently totalling £1.1 million, has come from since their launch last June. As it turns out, nearly half has come from one man: Ian Taylor, head of oil trading firm Vitol Group. A $1 million payment was made by the firm to notorious Serbian warlord Arkan in 1996, who was indicted with charges of 24 crimes against humanity by the United Nations before his assassination in 2000. The $1m payment was revealed by The Observer in 2001, in an investigation which names Taylor. Vitol have also admitted making payments to Iraqi officials under Saddam Hussein, which circumvented the UN’s Oil-for-Food programme. In fact, Vitol admitted to Grand Larceny and paid $17.5m in restitution for its actions. Woops. 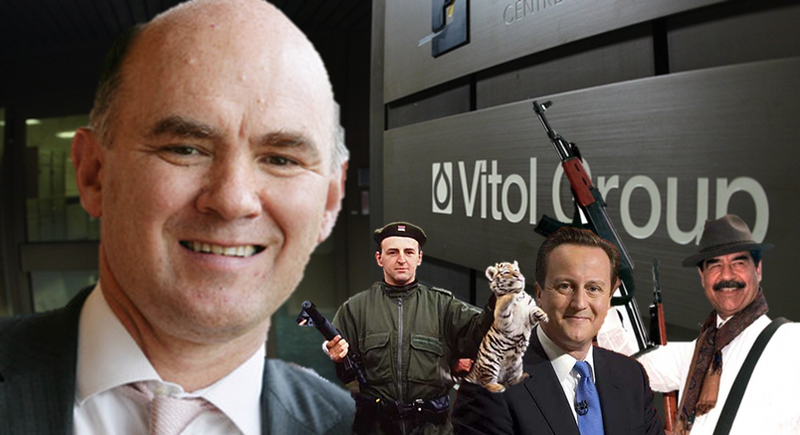 Vitol paid senior staff using the controversial Employee Benefit Trust scheme (sound familiar? ), allowing employees to avoid paying Income Tax and Vitol to avoid National Insurance contributions. The Telegraph reported in December last year that Vitol was in talks with HMRC to settle this unpaid tax bill. In March 2012 the BBC reported that Ian Taylor has donated £555,100 to the Conservative Party since June 2006. He also attended a private dinner with David Cameron, at Downing Street, in November 2011. Far be it for us to suggest there’s any connection between these two occurrences, the meeting was widely covered in media reportage of the ‘cash for access’ scandal. Vitol has huge investment in mainland gas extraction in Scotland, having a 16% stake in Dart Energy who have lodged applications for 22 coalbed methane gas wells near Falkirk. Critics have accused the company of trying to bring in the controversial Fracking process – a pollution intensive method of extracting shale gas – by the back door. Ian Taylor is not a resident of Scotland and therefore will not be able to vote in next year’s referendum. Ian Taylor was CEO of Vitol Group during all of the above events – the kickbacks to Saddam, the dodgy payment to Arkan and a decade of tax-avoidance, not to mention recent controversy over a £1 billion oil contract in Libya, where Vitol’s close links with Government ministers “raises questions”, according to Labour shadow minister Douglas Alexander. All the while, Taylor has been a major donor to the Tory party. Ian Taylor is not amused. National Collective have been accused of writing an article which was “grossly defamatory” and their website is temporarily offline as they seek legal advice, although we understand they will come out fighting next week. A bizarre blogpost by Better Together has summarily ignored every question posed to them and accused the nasty nats of engaging in a ‘dirty tricks’ campaign. Another pro-indy site has also been served with a legal writ, as has, we understand, The Herald, which too printed some of the above FACTS following an SNP press release which called for Taylor to return all £500k. There’s not much more to add: you can draw your own conclusions about why Better Together are so desperate to cover up the dodgy links of their main donor. By which we mean completely transparent, above board and legitimate business dealings. Which is presumably why they’re so desperate to cover it all up. So many questions, so few answers. Please don’t sue us, not that we have any money anyway. Oh, and Ian Taylor is a wanker. Another FACT from A Thousand Flowers. ← She’s Dead! Fight for your Right to Party!